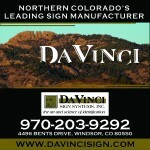 Thank you for choosing to participate in the 43rd running of the Horsetooth Half Marathon. This year we’ll be welcoming record numbers of runners to undertake the journey from Hughes Stadium to New Belgium Brewing, and we’re excited that you’ll be a part of that journey. While all relevant race information is available on the race website, we’d like to draw your attention to a few important race details and to also highlight a few of our partners who are helping to make this year’s event one of the best yet. We’re especially thankful to our top-tier sponsors who have all become integral parts of the race planning and execution process. Pre-race packet pickup will be at Raintree Athletic Club (RAC) on Saturday April 16 from noon until 6:00pm. Be sure to look in your race packets for a FREE three-day membership to RAC, in addition to your performance race t-shirt and race bib. Raintree is located on the NW corner of Drake and Shields at 2555 S. Shields St.
Horsetooth Half branded race leisurewear will be available for sale at packet pickup, along with gear and race fuel from our specialty run partners Altitude Running and Runners Roost Fort Collins. In order to avoid lines on race morning, we encourage you to pick up your packets on Saturday. If you are not able to make it to Saturday’s packet pickup, then we will also be offering race morning packet pickup from 7:00 – 8:15 at Hughes Stadium. The race will begin at 8:30am on County Road 42C adjacent to Hughes Stadium’s southwest gate. All parking will be on the grounds of Hughes Stadium with entry through the main south gate off CR 42C. Free bussing will be available from the finish at New Belgium back to Hughes. Busses will be running from 10:00am to 2:00pm. If you need warm clothing or other gear transported to the finish, a bag drop will be available on race morning near the packet pickup and registration location. A bib tag from your race bib must be pinned to your bag prior to dropping off. You will need to show your race bib to collect your bag at the finish. While we will make every effort possible to make sure all bags are reunited with their owners, we strongly recommend that you not pack valuables in your drop bag. The famed Horsetooth Half Marathon post race party will take place on the grounds immediately to the south of New Belgium Brewing. All race participants are welcome to enjoy free beer from New Belgium, in addition to a hearty and healthy soup with focaccia bread from Spoons, and snacks and fruit from Trader Joe’s. If you’ve got room for more, then try a delicious cookie from Mary’s Mountain Cookies (Old Town) and/or a delicious cinnamon roll from the Great Harvest Bread Company. 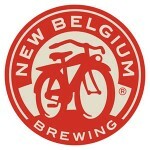 The New Belgium beer selection will include Fat Tire, Easy Ride IPA, Sunshine Wheat, and 1554. For non-alcoholic beverages, we will have Eldorado’s Organic Vitamin Spring Water available. Beers will be served only to those who have shown proof of age and are wearing an over-21 wristband. This can be taken care of at packet pickup on Saturday (wristband must be attached then) or at the entrance to the beer garden after the race. Wristbands will also be available to friends and family for a suggested donation of $10. All proceeds will be donated to our non-profit race partners and local school music and cross country programs. With your race run, and food and beverages in hand, please sit back in the beer garden of picnic area and enjoy live music from the always entertaining Swashbuckling Doctors. Or peruse the post-race expo booths and enjoy samples from vendors such as Health Warrior or a massage from Kristel Liddle LMT and Dana Weinkauf-Talbot’s Thai Massage Bodywork team. Weather permitting, we will have on course music at three separate locations courtesy of the Blevins Middle School Jazz Ensemble, the African Drum and Dance Collective of Fort Collins, and the Poudre High School Band. If you’re looking to hit a specific finish time, we have a team of pacers lined up to help you get there. If you have questions related to pacing, then be sure to stop by the pace group table at packet pickup on Saturday. We’ll have pace leaders for the following goal times: 1:30, 1:45, 2:00, 2:15, 2:30. Given the hilly nature of the course, mile splits will not be even. We will have suggested mile-for-mile pacing charts available at packet pickup. Mile 8.5 Sponsored by Justin Liddle DMD and benefiting the Blevins Middle School Cross Country Team. 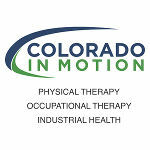 Mile 10.3 Sponsored by University of Colorado Health and benefiting the PVH and MCR Foundation. Be sure to read through the race website for additional race details, instructions, rules, and directions. We will email out a final pre-race briefing on Saturday morning after online entries have closed. See you Sunday April 17!